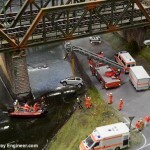 You don’t need to buy brand new and expensive Peco and Hornby track for your model railway. Use these 7 techniques and save your money. I’m in the process of building my next railway and it’s going to need a ton of track. It’ll be far too expensive to buy all new Hornby or Peco track so instead, I’m buying from alternative sources and it’s saving me a fortune. Here’s what I’ve learnt and how I paid under a tenner for a substantial collection of straights, curves and points easily worth over £50 new. My number one technique is to ask around. Nothing more. It’s surprising how many elderly relatives have old model railways sitting unused and unloved which they’d love to give to a good home. But unless you say something that home won’t be you. The great thing about second-hand track from relatives is that they’ve usually collected it themselves for their own layouts so it’ll have been well looked after. It’s also worth letting your friends and family know you’re “into” model trains. It’s surprising how often I pick up odd bits from friends-of-friends who have inherited some old bits themselves and don’t what to do with it but have heard I might be interested. Usually, the domain of elderly people looking to sell off stuff from their house before down-sizing or a clear out flea-markets are a treasure trove of old track. Look for stalls with boxes of old children’s toys in particular. The track is often in poor condition but I’ve picked up some absolute bargains at church fairs over the years. 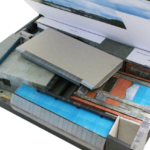 At one fair I found a box of 20 assorted sections of OO gauge track for £5. That’s .25p per track section! While a few bits had to be discarded the majority of it was perfectly usable. A huge saving over the average price of around £5 each. Flea-market tip: Always negotiate. Sellers here aren’t out to make a lot of money and are usually more than willing to barter. Buying second hand track will save you a fortune but if possible always check the rails for damage first. Railheads: Run your finger over the top edge of the rails; you’re looking for dents and scratches. These can cause problems for the smooth running of the trains and attract dirt and grime and so will need regular cleaning. Points: Check the spring mechanism of points still works. If the points don’t move or the spring is damaged they’re pointless — pardon the pun. 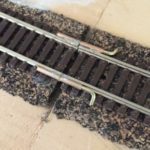 Rail endings: Examine the ends of rails. These will need to be square cut so they can slide into rail joiners to connect to other track. I the ends of split, bent or damaged you’ll need to either cut them square first. Sleepers: Closely examine the holders on the sleepers that keep the rails in place. If the rails aren’t securely held in place the track will be useless. You’re looking for track with well-secured rails. Dirt/Paint/Grime: Don’t worry if the rails have paint or dirt on them, this can usually be removed easily. See my post of cleaning rails for advice. I’ll always take the time to take a look in new charity shops and chat to the staff. Although it’s not common to find trains and track on the shelves you can sometimes find a job-lot that’s been donated. Charity shops are particularly good for large collections where an entire layout has been broken up and given over. The downside of this is that the track has often been poorly treated but with a little TLC can be returned to working condition. Charity shop tip: Get to know the manager at the shop and let them know you’re interested if they come across track and railway items in future and leave your details. The big organised car boot sales are my go-to choice when in need of track. Just like flea-markets, you’ll often find parents with now grown-up children looking to make a little space or money and selling off their kid’s old toys. I’ve picked up entire Hornby starter sets for £10 before — and at a recent boot fair picked up the job lot of track shown left for £7 when it would easily have cost over £50 in a shop. The seller was moving and had this unused track from a layout he’d started to build but no longer needed. An absolute bargain. A word of caution, however, avoid the professional house-clearance type sellers and auctioneers at the boot fairs. They usually have large stalls, multiple tables or if outside a large van with their business name on the side. These sellers usually have inflated ideas of the value of their stock and will charge a lot. Second-hand dealers of model railways can be your best friend. They naturally understand what they’re selling, will be able to advise on quality and may be open to negotiating. The downside is that they are most definitely in business and looking to make money so be prepared to haggle hard. I spend way too much time on eBay but you need to know a few tips to get the most from it. Secondly, search for variations of the obvious names for the items. Try misspelling of the words: oo gauge track for example. There won’t be many results but the items for sale under there won’t be seen by many others so you cut down the competition. More importantly, the sellers using incorrect spellings evidently won’t be familiar with what they are selling and so won’t know the prices their items can possibly get. Some great deals can be found on eBay but it takes time. Don’t rush it, wait, watch and learn. And don’t be afraid to ask questions and message the sellers if there’s something you want to clarify. Most will be more than happy to help. Moneysavingexpert has more advice on getting bargains from eBay. Gumtree is old school newspaper classified ads done on the Internet. Think eBay but local — no wonder Gumtree is now owned by eBay. The quality of track is variable as is the price but it’s always worth keeping an eye on the ads posted. 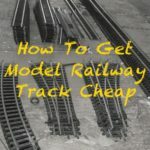 The point of this post is that the cost of track shouldn’t get in the way of building your model railway and you don’t have to spend a lot on track if you don’t want to. 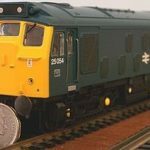 Yes, you could spend hundreds buying brand new Peco and Hornby track but with a little luck, using these techniques and a little elbow work for cleaning you can get the same amount of track for £10 to £30. Have you picked up second-hand track? What was your experience? Did it come from one of these sellers or do you have another secret source? Add your experiences below or share with me on my Twitter or Facebook accounts. This post is part of my beginner’s guides. 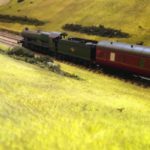 For more like it see my parent post, beginner’s guide to model railways. 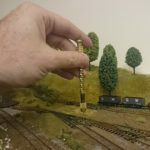 ← Model railway minimum curve conundrum – what’s the smallest radius? Just starting out on Model Railways, Have a large base board, and have laid cork on the base, just about to start laying the track, but I would like some advise on laying points,ect. Hi Keith, what aspect of laying points are you having problems with? Ive personally found shpock and facebook marketplace excellent places to buy second hand. I managed to get a complete layout with 16 sets of points and about 14 m of track for £ 30! complete with some decent sundealla baseboards. It took some cleaning and re-configuring, but well worth it.